The couple had Centex make some modifications to the Devonshire plans, including finishing the 2-car garage with custom shelving and a place to store their outdoor furniture above the cars. They also had Centex build a walk–up attic with finished flooring accessible from Greg’s office, and an alcove above the gas fireplace in the family room for their television. A Place for Celebrations. “When we looked at our house, we thought it would be a nice house for a wedding,” Mary says. And, it was. Her son and his fiancé were married under a gazebo on the couple’s large, backyard deck. A reception for 40 was held inside the open concept home. The wedding was just one of many home celebrations Mary and Greg have enjoyed with their friends and family, which has grown to include 6 grandchildren, ages 3 months to 16 years. They have hosted many summer get-togethers on their 40-foot deck, which spans the length of the house and overlooks their fenced, wooded back yard. “It is a great place to sit and relax with plenty of room for lots of tables and chairs for casual get-togethers, cook outs, or just relaxing on a lazy day,” Greg notes. “I do put up four big Christmas trees,” Mary admits, laughing. “The tree in the loft is our turning Hallmark tree. We have about $25,000 worth of Hallmark ornaments that we have collected through the years. Then there’s a tree in Greg’s office that has a sports theme. And, a silver and blue tree that goes in the formal living room has a New Orleans theme.” The largest tree, 10 feet tall and decorated in gold and burgundy, is in the family room, which has 30-foot ceilings. Mary also displays small trees throughout the house and mechanical motion snowmen along the stairs. “My grandchildren call it ‘Nana’s Wonderland’,” she says. A House Built for A Family. “This house was built for a family,” Mary says. “There is countertop space in the kitchen for eating, a family dining area off the kitchen, and the formal dining room. Sometimes our family comes over and the adults can visit in the formal living room while the kids are in the family room.” The dining room, which features a tray ceiling, can seat 10-12 guests. Mary also loves that the master bedroom is on the main floor, off by itself and far from the other bedrooms on the second floor. “You have plenty of privacy when you have company,” she notes. “I love how open the house is, that wherever you are on the first floor you can talk to someone else on that floor,” Mary adds. “And I love the openness and lightness of the house; a lot of natural light comes in but it still feels cozy.” The gas fireplace in the family room also adds to the home’s cozy feel during the winter. Mary, who recently retired after 41 years with the York County Schools, also notes that “there are many road choices to get where you’re going without having to take I-64.” Residents could also leave the car behind to walk or bike to a local drug store or nearby Monticello Marketplace, she points out. Attractions inside Powhatan Woods—amenities that include the community clubhouse, pool, playground and basketball courts– are also very accessible. ”One of my favorite features of the house is its location within Powhatan Woods,” Mary points out. “We have a privacy fence around our yard, but we put in a gate that leads directly to the community pool and clubhouse area. We don’t even have to go onto the street to get to the amenities.” Her grandchildren enjoy the playground with swings, slides, and climbing bars, while her adult children use the basketball court. Mary and Greg have enjoyed going to seasonal parties in the clubhouse. Mary points out that the neighbors, many of whom are seen walking their dogs, are respectful and helpful. When the power went out during a hurricane, a neighbor with a generator stored Mary’s medications that needed refrigeration. “People here are considerate,” she notes. Time to Downsize. Deciding to leave their much-loved family home for a more maintenance-free townhouse was not an easy decision for the Christiansens. 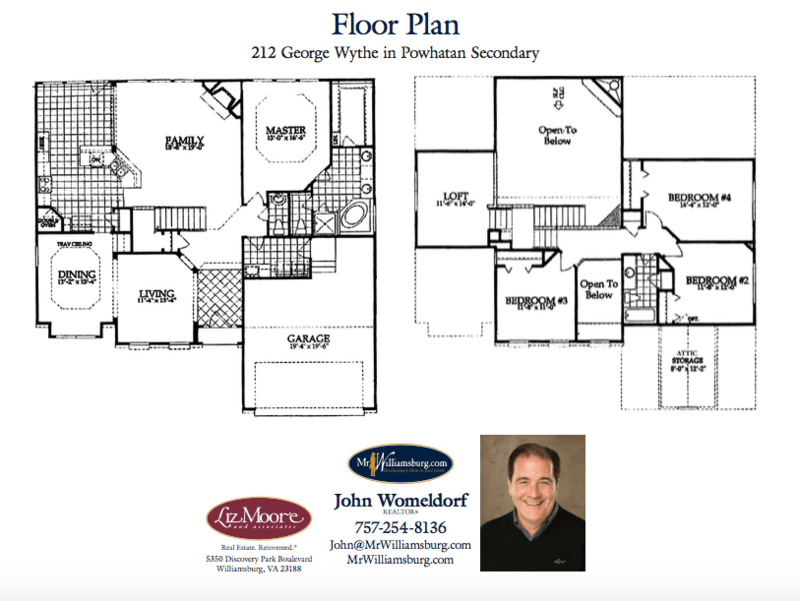 Search all homes for sale in Powhatan Secondary here! Explore the Powhatan secondary neighborhood here. Here are a few photos of the amenities in the Powhatan Secondary neighborhood in Williamsburg, VA.
Why the stories? Because these aren’t just houses, they’re homes. In my years as a Williamsburg Va area real estate agent, I was always surprised when I looked at brochures from other listings. Quite often I see two sentences describing a 3 BR two bath $500,000 home. I personally feel if you are paying someone a substantial sum to sell your home they can put a little more effort into it. That was the genesis for these stories. Here are a few other stories my clients have told in the process of me selling their homes. Additionally, I have helped hundreds of folks find their dream home/ community and would love to help you find yours in the Williamsburg, Yorktown, New Kent, VA Beach, Chesapeake, Suffolk, Isle of Wight, Poquoson and Richmond VA area.